The village is alive with the sound of music. Music. It feeds the soul like nothing else…it fuels us to express emotion, whether it be happiness, sadness, love, lost love, revenge…whatever. It’s pure passion–that’s what music is. Okay, now..so let’s talk some music, shall we??? 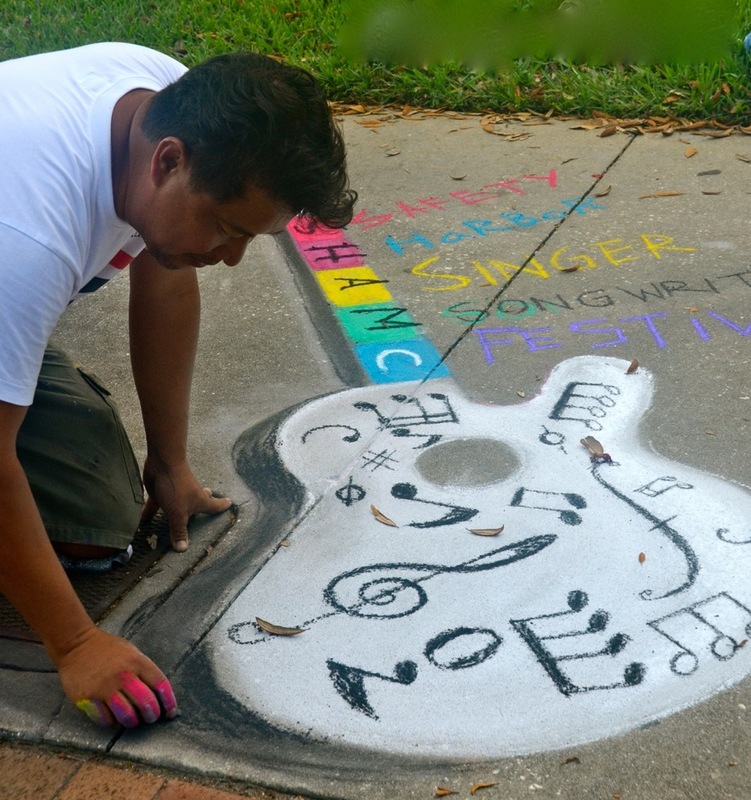 Local artists, Kiaralinda and Todd Ramquist, have created the first annual Safety Harbor Singer Songwriter Festival and it is scheduled for Friday, April 4th through Sunday, April 6th. It’s 3 days and 30 acts loaded with musicians from all over the world. They’re gonna have great food…great craft beer…AND…great music. The festival is to benefit the Safety Harbor Art and Music Center, which is soon to open its doors. Why not check out the website listed below and find out about all these fabulous artists invading the village, ready to share their beautiful notes with you. Pictured — our friend, and local artist, Kumpa, doing some chalk art to remind the villagers and visitors to our lovely city, to buy your tickets in advance to receive the discount. Please join us on this musical journey…the first annual Safety Harbor Singer Songwriter Festival. It’s the 41st anniversary of National Agriculture Week, and it is celebrated in classrooms and communities across the nation. What a perfect time to tell all you out there about our Safety Harbor Common Ground Community Garden. It was founded in 2009 and sits on an acre of land, with it’s own well to supply hydration to approximately 30 10×10 plots. Fennel, kale, carrots, squash…it’s all good. From beginning gardeners to the gardening gurus, the Safety Harbor Common Ground Community Garden is full of veggie enthusiasts ready to share ideas, create, connect and experience the delicious fruits of their labor. In essence, they have created their own little community on common ground. They work together to keep the overall look of the gardens esthetically pleasing to view, they trade seeds and plants and they get together regularly just to socialize. Sound like a pretty solid community with common goals, joining together to grow the good life…don’t ya think??? Pictured are some of the garden members. They were getting ready to enjoy some of their harvest at their pot luck picnic. 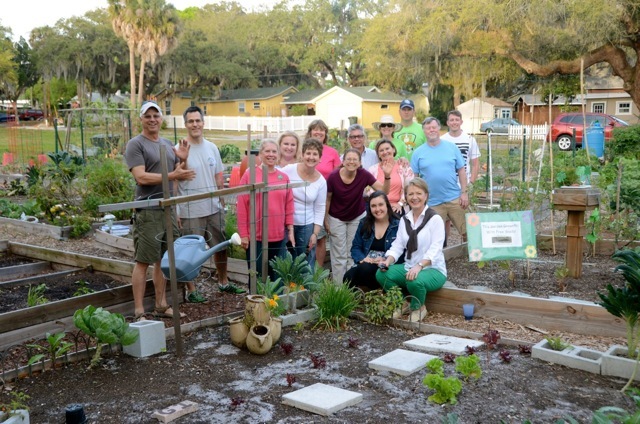 The Safety Harbor Common Ground Community Garden…This is how we grow!!! Check ’em out on Facebook!! !